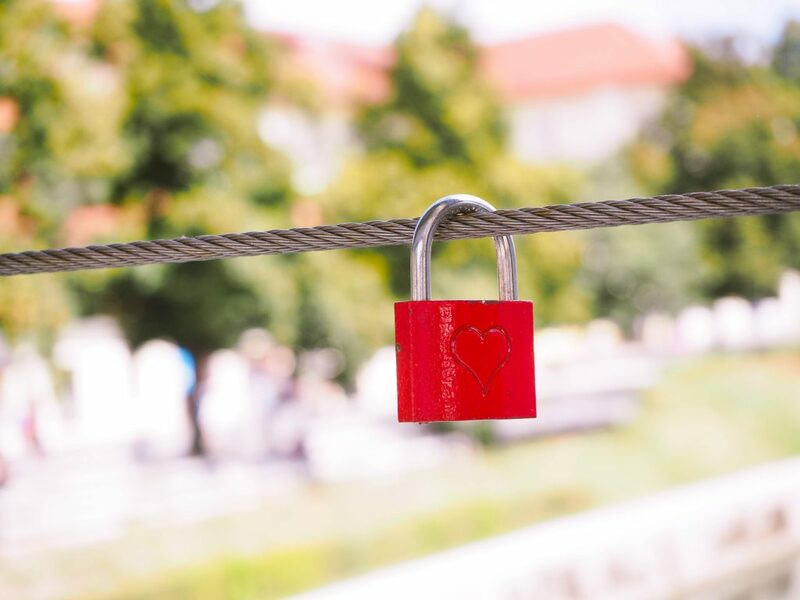 With Ljubljana, it really was love at first sight. How could it have been any different? After all, the Slovenian capital is affectionately called the “beloved” city. (Inhabitants say that the city’s name comes from the Slavic word and name Ljuba/Luba, which means “loved”). The moment I first laid my eyes on Ljubljana, Slovenia, I was under its spell. I arrived in the city on an evening in mid August, and I couldn’t wait until the following morning to start exploring the spectacular sites the city had to offer. Any plans I had of taking the bus to my hostel from the city train station instantly disappeared. Even though I had a 12 kg backpack on my back and was wearing clothes better suited for Croatia’s seaside heat, I was going to do the 40-minute walk through town…in the rain. And it was worth it. Nevertheless, I’m not the only one who loves Ljubljana. 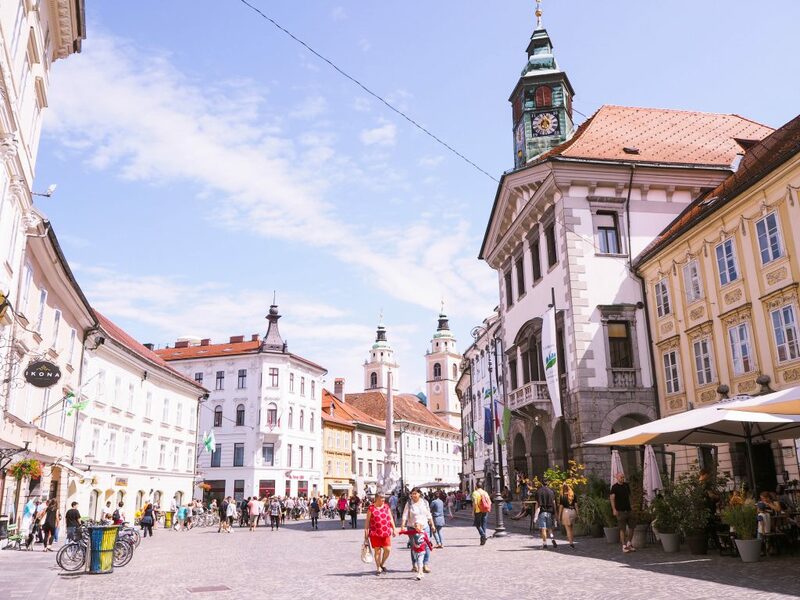 Thousands upon thousands of the city’s inhabitants and millions of annual visitors speak fondly of Slovenia’s picturesque capital. 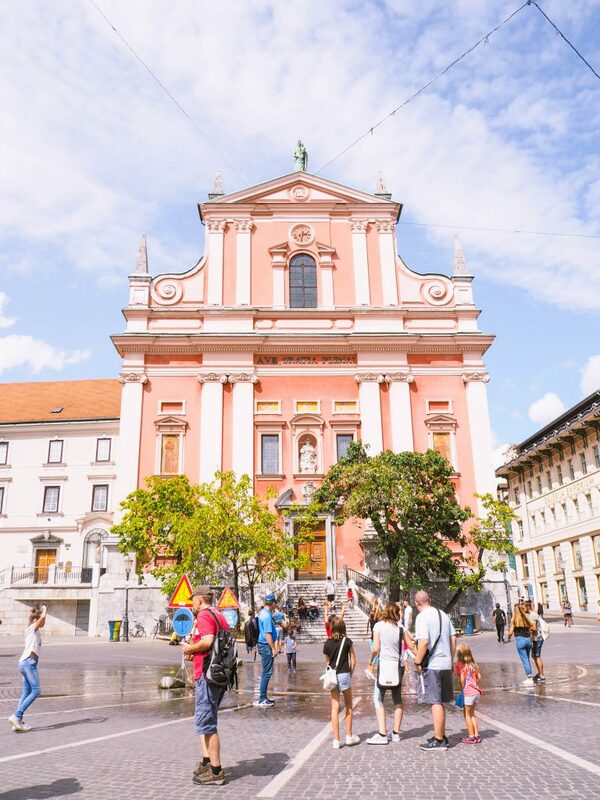 With its unique amalgamation of stunning buildings, including structures fashioned after Italian Baroque and Vienna Secession architectural styles (not to mention many visionary works by the 20th century Slovenian architect Plečnik), Ljubljana is nothing short of magnificent. 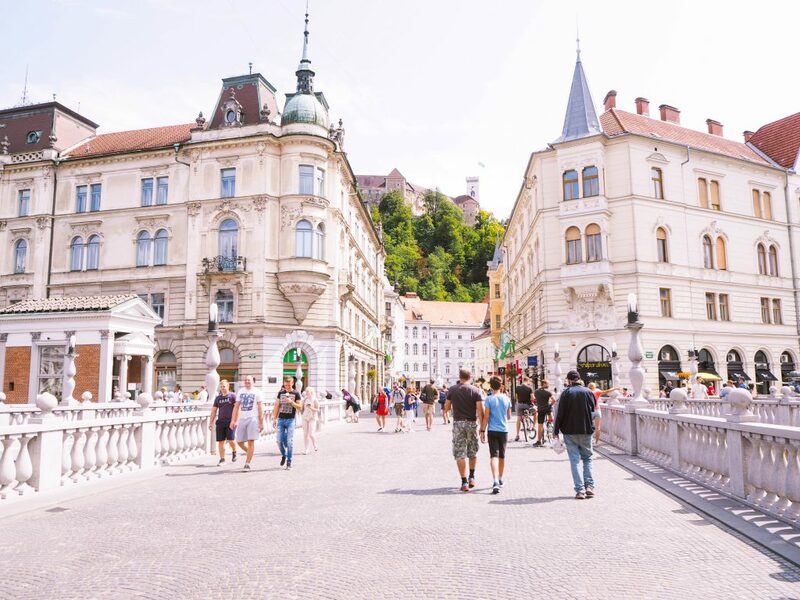 With the Ljubljanica River carving its way through the city’s downtown core, the castle hill rising in the centre, and the Julian Alps popping up along the horizon, Ljubljana’s geography only adds to the city’s magical atmosphere. So it shouldn’t come as a surprise that Ljubljana is a photographer’s paradise. It’s a city filled with enchanting, one-of-a-kind sites and “instagram worthy” views (if you’re doing it for the ‘gram – no judgment here because I love the ‘gram). Want to make sure that what I’m claiming is 110% true? 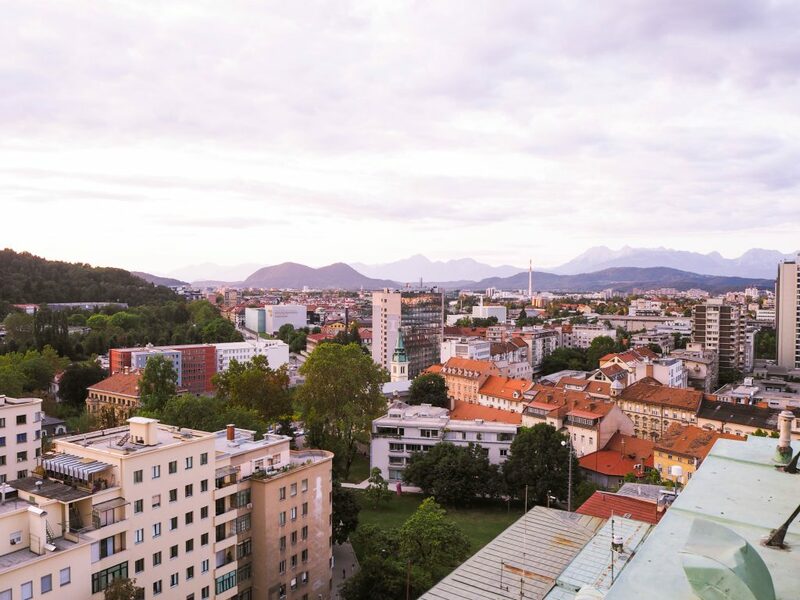 Check out 11 of Ljubljana’s most “instagrammable” sites below! The Ljubljana Instagram spots featured below are divided into 3 categories: best views, incredible architecture, and street art. And the most awesome part of this list, especially for us budget travellers, is that all the sites and attractions featured below are absolutely free! Standing 13 stories high, the Skyscraper was once the tallest building in the Balkans. Built between 1931-1933, the “high-rise” building was actually Slovenia’s first skyscraper. 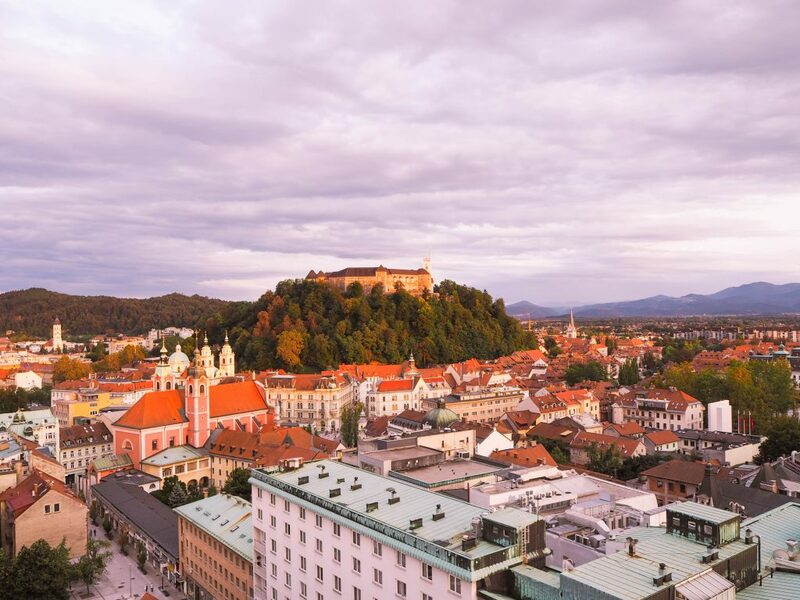 Even though it’s no longer Slovenia’s tallest building, you can still catch an incredible, panoramic view of Ljubljana from the observation deck on the top floor. It’s useful to note that the outdoor terrace is part of a café and bar, but you can still choose to go up and enjoy the view without buying a thing. 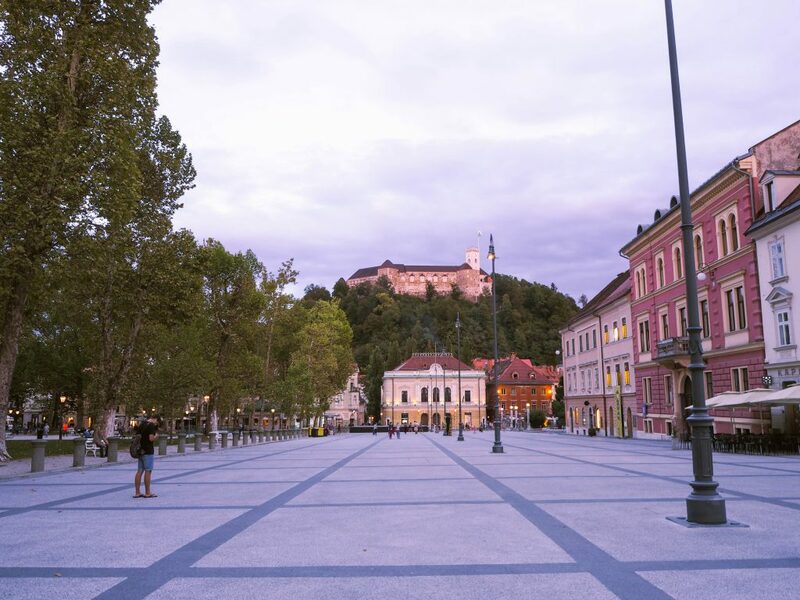 Tip: Go just before sunset to see Ljubljana’s old town and castle bathed in a warm, golden glow. The view from the other side of the Skyscraper. Can you see the Julian Alps along the horizon? When walking around downtown Ljubljana, Ljubljana Castle is hard to miss. The medieval fortification was built atop of a fairly giant and steep hill right in the centre of town. 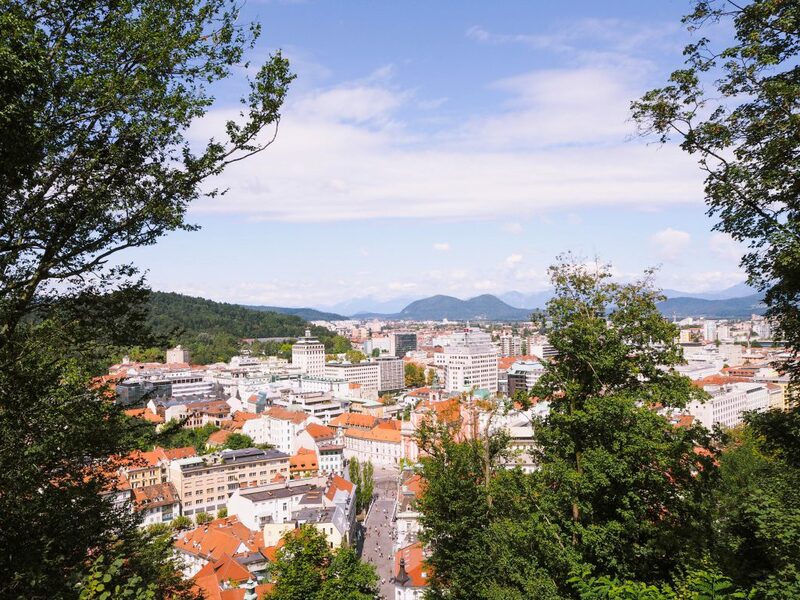 Of course, you can hike up the hill to visit the castle (or take a funicular), but make sure to check out the lovely bird’s-eye view of Ljubljana from the “Castle Hill” too. You don’t have to go into the castle to experience this stunning view! Ljubljana is full of spectacular architecture, and I’ll be shining the spotlight on some of the city’s impressive buildings soon. Nevertheless, I wouldn’t forgive myself if I didn’t mention the abundance of greenery you can find in the city. One of my favourite views in the city is from the Cobbler’s Bridge. 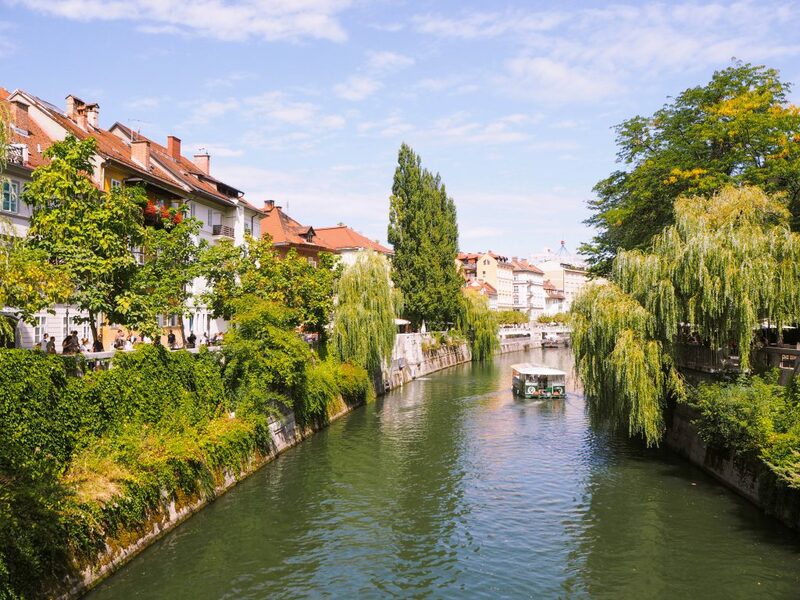 If you face north, you’ll see lush willow trees, shrubs, and vines lining the bank of the Ljubljanica River. In the summertime, the leaves grow so dense that they almost mask the city streets behind them. Stand in the middle of the bridge and look out. You’ll be convinced that you’ve magically been teleported to some idyllic village in the countryside. As a fun, side note, the Cobbler’s Bridge gets its name from the fact that shoemakers once sold their products along the bridge. Tip: If you happen to be on the hunt for even more greenery in Ljubljana, make sure to pay Park Tivoli a visit or hike up Castle Hill. Just south of the Cobbler’s Bridge, you’ll find a short path on the west side of the Ljubljanica River. The path goes down right by the river, and from it, you can take a moment to admire the historic homes along Gallusovo Nabrežje/the Gallus Embankment. The embankment’s name commemorates a 16th Century Slovenian Composer, Jacobus Gallus. The perfect place to sit down, relax, and enjoy the summer sun. Kongresni Trg, which translates to Congress Square, was built hundreds of years ago for the Congress of Ljubljana (1821). Since its construction, many pivotal political speeches and demonstrations have taken place in the square. Looking out across the square to Ljubljana Castle at dusk. If you turn off of Krakovski Nasip by the Ljubljanica River onto Gradaška or Eipprova ulica (a canal divides these two streets), you will stumble upon many booming hostels, restaurants, and bars. (If you like meat, I highly recommend checking out Dežela Okusov). When you walk just a little further down Gradaška Ulica, you’ll encounter this view. I swear we’re still in the vicinity of downtown Ljubljana. We’re really still in Ljubljana? Planning on exploring more of Slovenia? This red church was built according to the Baroque style of architecture in the late 17th and early 18th centuries. FYI (if you’re wondering why there’s a puddle in the centre of the square and warning signs with umbrellas): in the summer, cables are used to create a light rain shower in the middle of the square. It’s the perfect place to cool down on a hot day. 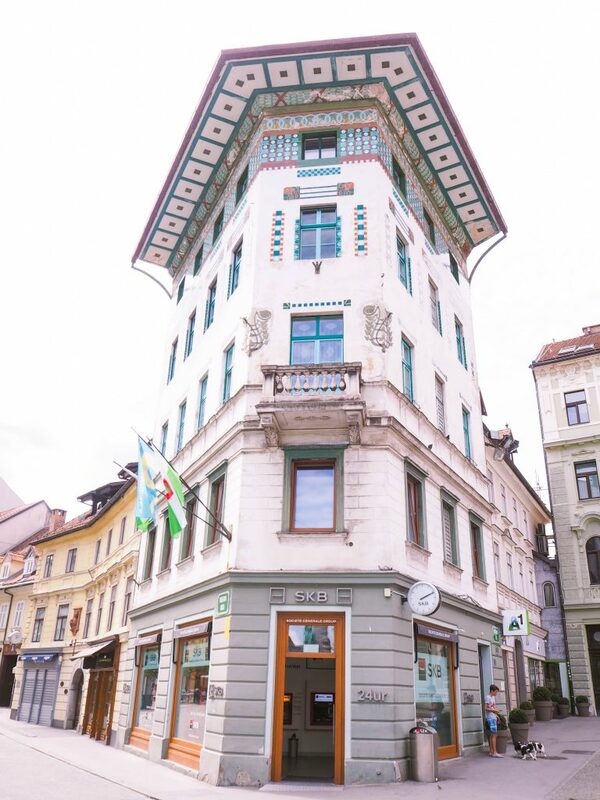 After the Ljubljana earthquake of 1895, this older building, called the Hauptmann House, was renovated according to the Vienna Secession style of architecture. Look at those vibrant details! 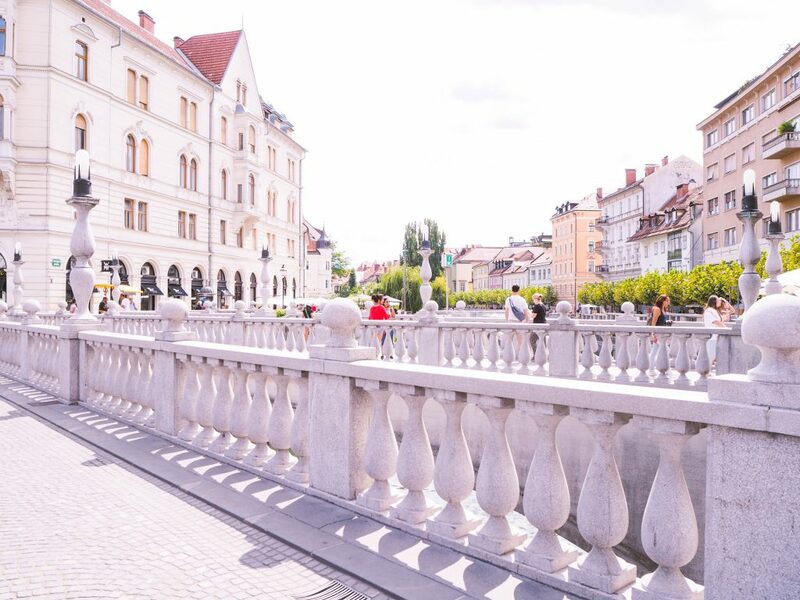 Found on the southeast side of Prešeren Square, the Triple Bridge crosses the Ljubljanica River and serves as one of the connections between the two sides of the city. The Triple Bridge actually consists of three bridges with the larger bridge in the middle predating the two smaller ones. The Slovenian architect, Jože Plečnik, suggested the three-bridge design in the early 20th century in order to reduce traffic and congestion across the original bridge. Of course, in typical Plečnik fashion, the Triple Bridge also ended up being a work of art. Bridge 1 of 3. This snap shows the larger and older bridge in the centre. All three bridges from an angle. Stunning! Mestni Trg, the Town Square, is also part of the pedestrian-only area in the heart of old town Ljubljana. The town hall is found along this square, and the square itself has been an area of importance since the Middle Ages. The buildings around Mestni Trg are mostly Renaissance and Baroque structures, so you’ll have to cross over to the other side of the Ljubljanica River if you’re after more Vienna Secession sightings. Every weekday and Saturday, a Central Market is open for business in downtown Ljubljana. Part of the market takes place in Plečnik’s impressive colonnade. 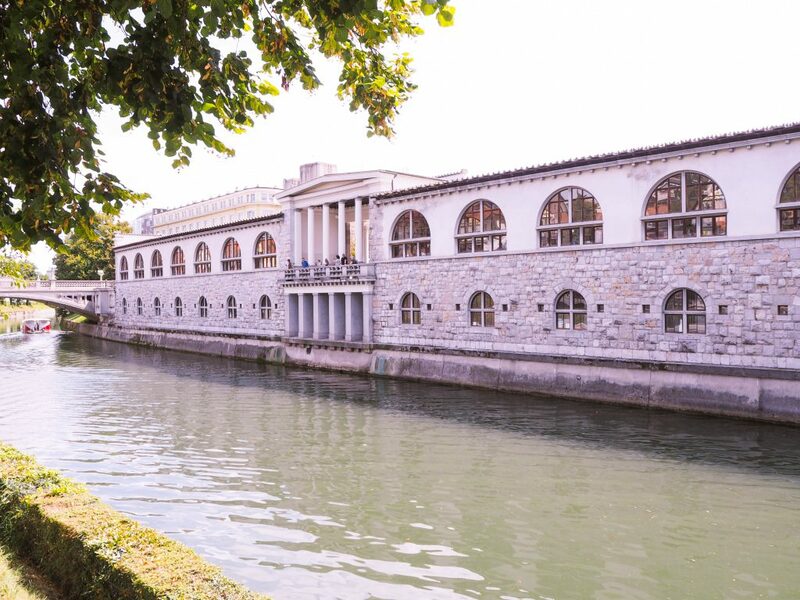 The market is definitely fun to explore, but I also recommend taking a look at the colonnade from the other side of the Ljubljanica River. There, you can admire Plečnik’s work, the Mesarski Bridge, the Ljubljanica River, and Ljubljana Castle all at once. Plečnik’s famous colonnade from the riverside. …which is adorned with hundreds of locks. If you’ve been to Copenhagen, you’ve maybe heard about or even visited (Freetown) Christiana before. But did you know that Ljubljana has a somewhat “autonomous” neighbourhood too? It’s called Metelkova, and from looking at the buildings today, you would never guess that they were once military barracks. 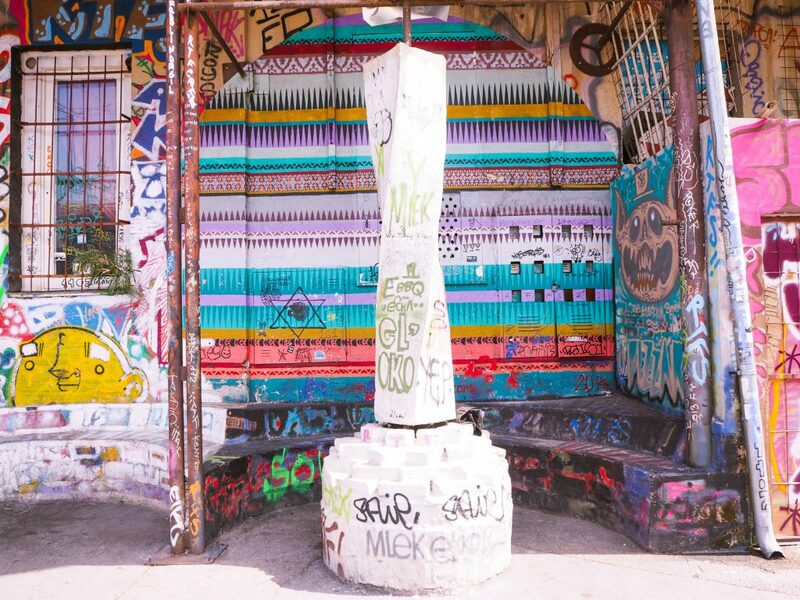 Elaborate, vibrant, and mind-warping murals and installations decorate the area’s façades. During the day, visitors are more than welcome to walk around and explore the area (just refrain from taking photos of individuals who actually inhabit the neighbourhood). At night, bars and clubs open up for business. 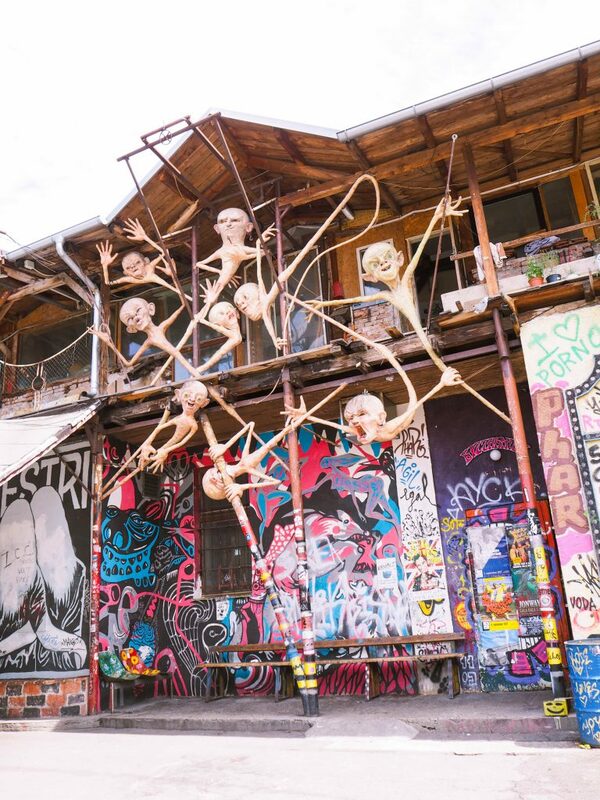 Just one of the eerie installations you’ll stumble across in Metelkova. With its rich and diverse history, stunning architecture, and impressive views, there is no shortage of things to do in Ljubljana. 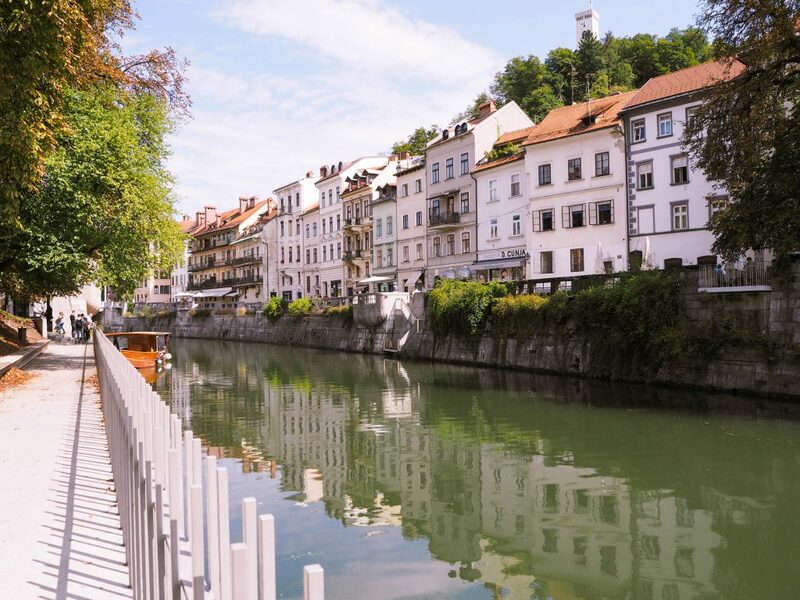 The city itself takes great pride in what it has to offer and citywide maintenance projects, such as 100 SUP on the Ljubljanica River, and restoration works are a common occurrence. Positively glowing from all the love and care it’s been given, it’s easy to find yourself falling for Ljubljana’s charm. Have you visited Ljubljana? Would you like to? Share your thoughts and experiences in the comments section below! This past week, I spend a wonderful couple of days in Bergen, Norway. While exploring the city, the idea of publishing a third post about city “Instagram spots” popped into my mind (you can check out my first post about “Instagrammable” sites in Lisbon by clicking here). My goal with these posts is to go one step beyond just sharing aesthetically pleasing places. Through these posts, I want to connect places that we may find of interest (visually) with their cultural and/or historical significance. Have you come across any other remarkable sites in Ljubljana? Feel free to share them below! Great post! I spent a weekend in Lake Bled this past summer and wish I had time to visit Ljubljana as well. Your post is really convincing me to do a dedicated trip to the city! It looks like the kind of city with beauty around every corner. I hope you get the chance to visit Ljubljana! And you said it perfectly – it definitely is a city with something wonderful around every corner. Love this post. All these places are so picturesque! I’ve never visited the Balkans, but this is giving me some seriously itchy feet! It definitely is! Hope you get to go soon! I fell in love with Ljubljana at first sight too! Considering my first visit there was on a gloomy, rainy day, and it still got to my heart, says a lot about how chic this city is! And happy to say I already nailed a few of the instagrammable spots you covered :)) My favourite view is the one of the river, from the Cobbler’s Bridge! I feel like Ljubljana will always be charming regardless of the weather 🙂 And I’m happy to hear that we share the same favourite view! Thank you so much! Ljubljana definitely is gorgeous! Ljubljana really is a wonderful city! these photos are just beautiful! I fell in love with the city as soon as I arrived! Despite getting really bad bed bugs, this place stole my heart. Such an inspiring post! I NEED to go back! Oh no! I’m really sorry to hear about those bed bugs. I hope you get the chance to go back! Beautiful views! I’ve always thought Slovenia was such a mysterious and beautiful country. I haven’t been yet. What time of year do you think is best to visit? I know summer is when most travellers go, but I really enjoyed visiting the country in the summer! You really get the chance to experience everything the country has to offer which involves a lot of time outdoors! Perfect timing! We are going there next weekend to celebrate my birthday. I am saving your list so we can check out some of these spots. Thank you! I hope you have a fantastic time in Ljubljana!